Hi all. Welcome to Mrs. Lincoln's Inkin'. Today's share is a Sara's Simple Share. It is a card that is really easy and quick to make. 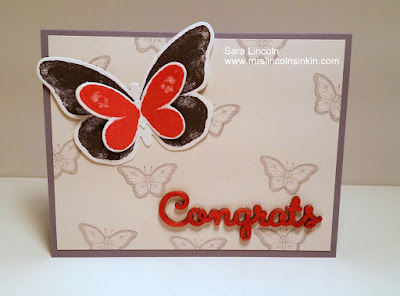 This card is using the Shimmer White paper, the Papillon Potpourri stamp set and the new Expressions Natural Elements. 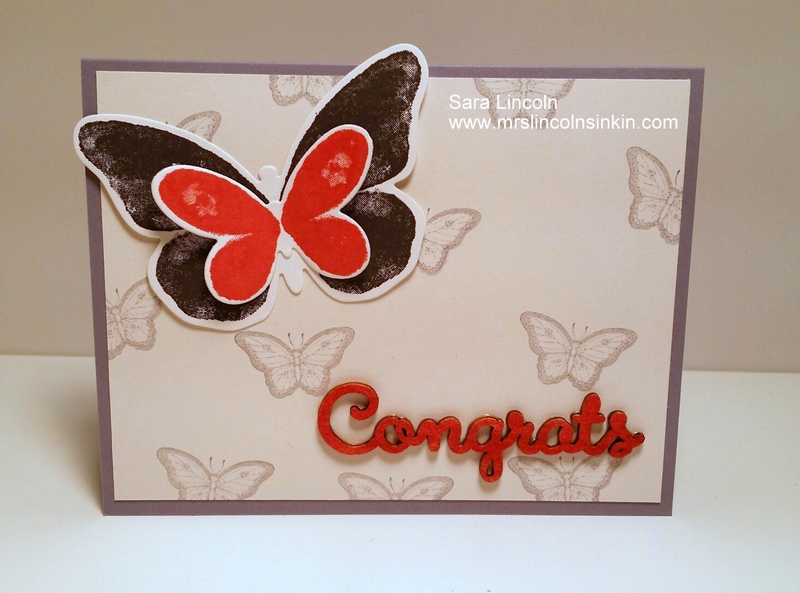 The congrats came in a natural wood color but I used my new Watermelon Wonder marker and colored it to match the rest of the card. That is the item that I am showcasing today.